It stands to reason that people involved in outdoor pursuits such as camping and hiking want their equipment to be versatile and multifunctional. Most outdoor equipment needs to be compact and easily transportable. Items that serve more than one purpose are preferable to single use items in terms of portability and sustainability. Outdoor wear has long adopted this ethos with items such as modular gloves and trousers popular to wear. Advances in design (including the materials goods are made from) and technology simultaneously result in interesting ways to maximise outdoor potential. 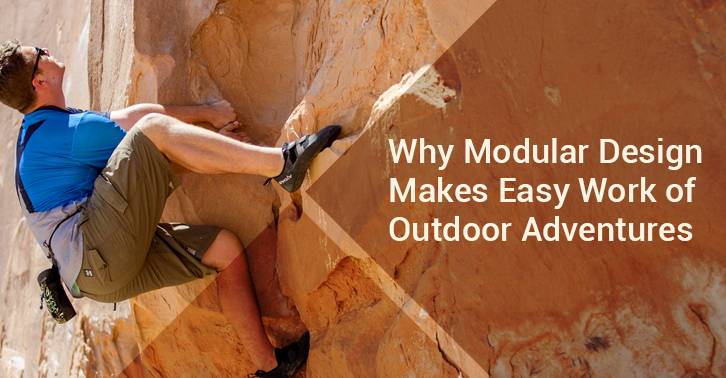 Moduware is involved in a number interesting modules targeting the outdoor enthusiast. Here’s some other designs that have captured our imagination. Gone are the days of triangle tents that are small enough that only children can stand in them and flimsy enough to collapse with the slightest breeze. 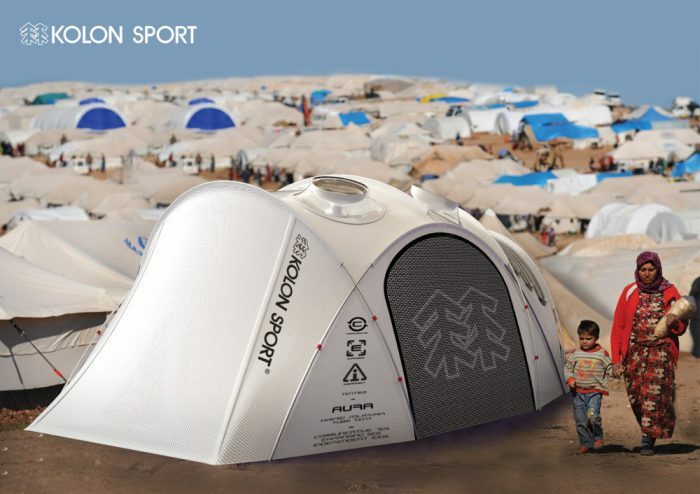 Enter modular tents that can be connected in various configurations depending on form and function. 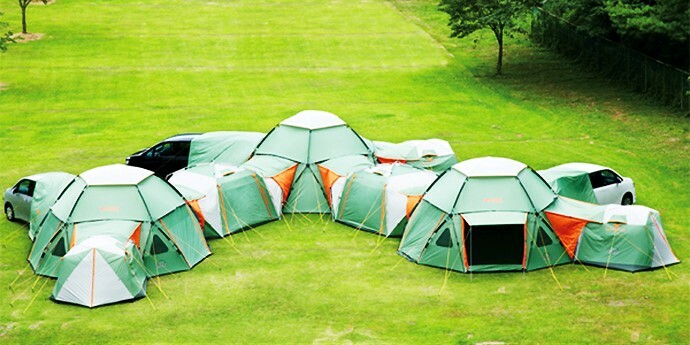 The basic module by Japanese outdoor company Logos, is a pentagonal tent that can accept five more modules for each of its sides. This means it can grow from a basic three-person tent to a vast indoor space that is big enough for 6 people, the configuration only subject to the campers’ imaginations. 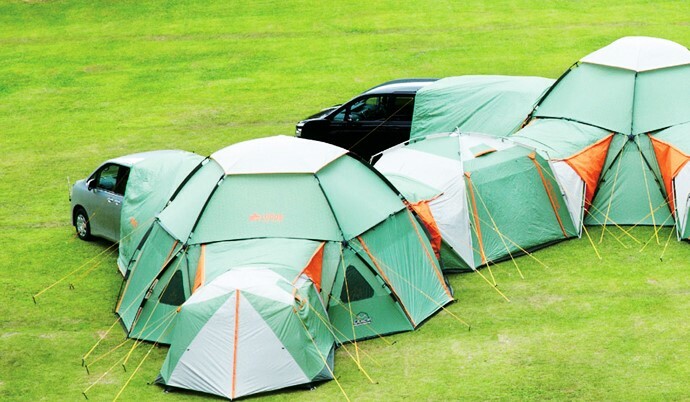 Similar efforts have been created by Pod tents among others, suggesting this is a trend that’s here to stay. 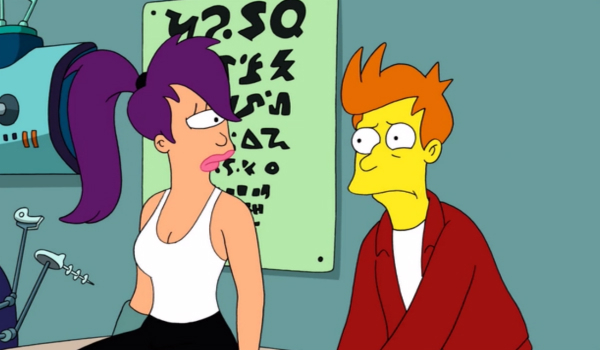 This is possibly one of the strangest ideas yet. A modular tube worn backpack style that can be turned into 5 different configurations: a comfortable tandem kayak (for two adults and one child), two boats, a relaxing raft, a catamaran with mast and sail, a snow toboggan in winter. 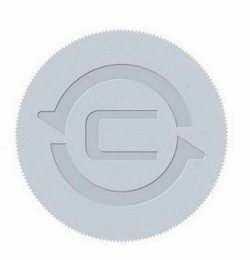 The design comes from German company Klepper and is called the backyak. It would be useful for hiking to water that can only be reached by foot, creating multi-activity hiking/kayak trips, and plenty of other trips that would be uncomfortable or impossible with a full-size kayak. In addition to the single- and dual-kayak modes, Klepper offers the “Relax” configuration that transforms the two kayaks into hulls strapped together by a bathing platform. This design lets you paddle, float and sunbathe on calm water. Add the available sail, which constructs in about 15 minutes, and the Relax turns into the “Sail” catamaran sailboat. But you’re not forgotten in the colder months where the device turns into a sled-for-two with a set of steerable front rails and a sharp sled nose. 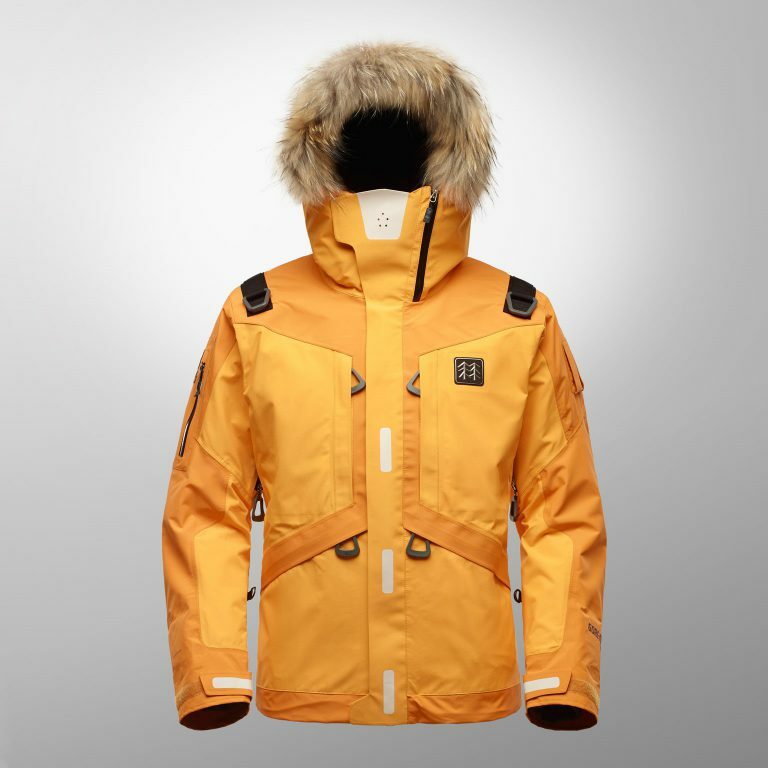 At this year’s Mobile World Congress in Barcelona, clothing retailer Kolon partnered with KT (Korea Telecom) to showcase a connected jacket designed for use in remote locations, where the wearer may become stranded and cannot request help. It comes equipped with sensors that detect movements of a person in distress, then transmits them via a small NB-IoT module. The jacket is also equipped with LEDs and acoustic sensors to assist rescue. The company additionally developed the “IoT Life-Tech Jacket Marine,” an upgrade to existing life jackets. It not only contains a floating tube but also sensors and telecom modules that collect the wearer’s information such as identity, heart rate, and location and send it to emergency control centres. The company hopes that the clothing will be available to consumers this year. 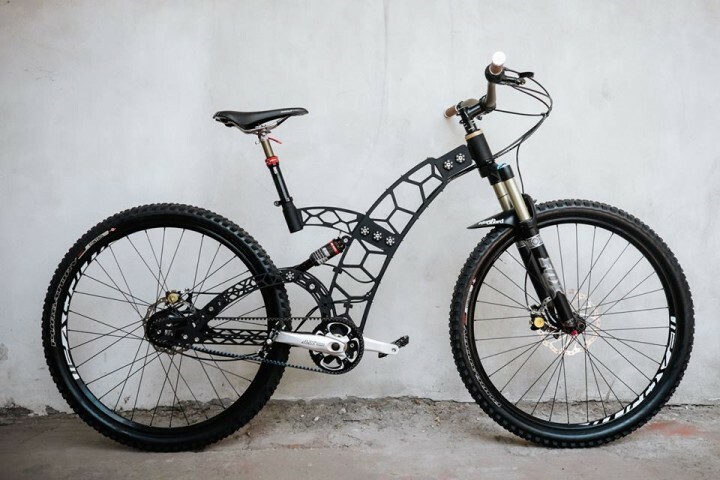 German company Altinsoy Manufaktur have recently created the Bees Bike, a bike with a modular design that enables the parts of the bike to be swapped for others depending on the terrain. The rider can exchange the stabilizer bar for a DT Swiss rear shock, allowing a swift and simple conversion from lithe hardtail to a more comfortable full rear suspension, useful for rocky ground. It also lets the rider alter sizing and positioning with ease. The company is also considering adding a device to make the bike electric as desired. Hopper:Waterproof top pocket, two full-face front stretch-fabric pockets, compression straps and internal laptop pocket. 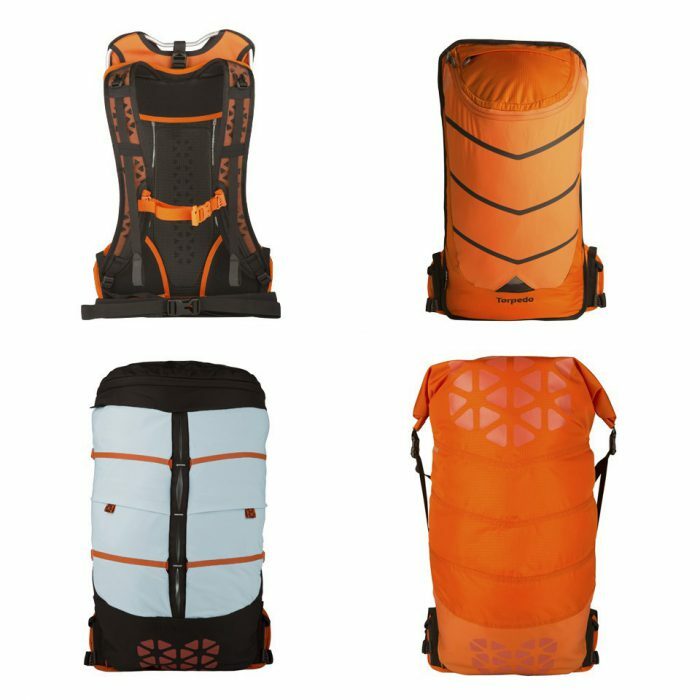 Torpedo:Ultralight pack that will fit the 100oz. hydration bladder of your choice, zippered top pocket, and two-way stretch front panel. Scrimshaw:Fully weather-proof bag, roll-top closure, ribcage construction and taped seams. A walkie talkie is an extremely useful communication device for outdoor adventures where you may struggle to have access to Bluetooth. 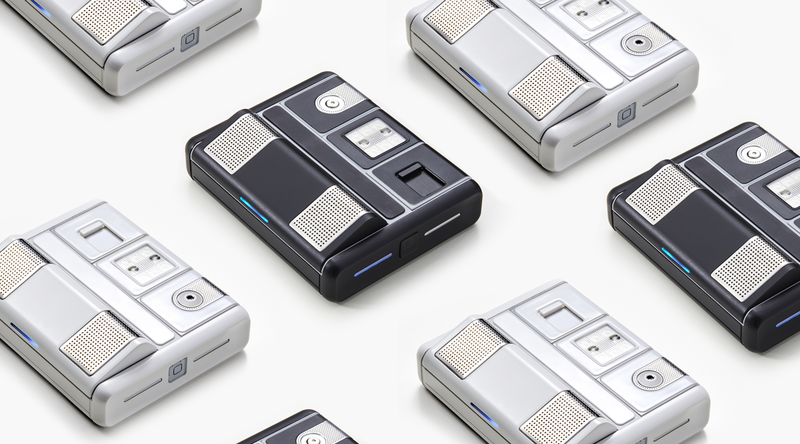 Nexpaq is creating a modular walkie talkie that integrates right into your existing radio network. It communicates with other two way radios using the VHF/UHF and custom bands and can be used to send SMS’s, group calls and single calls. It will be programmable from your phone and compatible with the Bluetooth remote speaker mic. 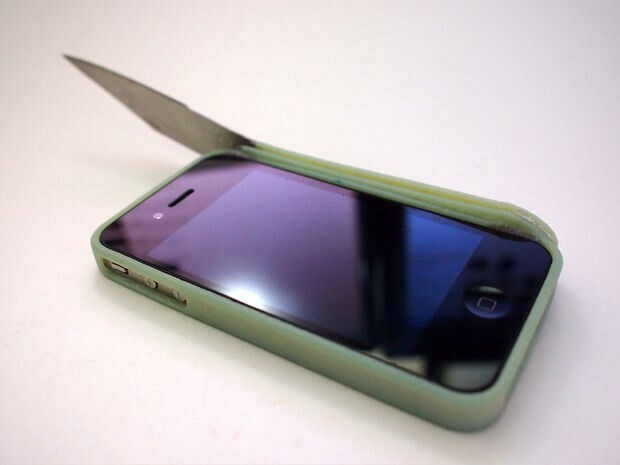 The iStab is a 3D printed iPhone cover which has a folding knife along one edge, producing a blade whenever you might need one. This phone case is “cutting edge”, and is designed as an exploration in conceptual 3D printed weapons. We’re unveiling a few more modules relevant to outdoor enthusiasts with our next collection. We’d love to hear from you what you’d most like in modular form for when you are in the great outdoor. Join us on twitter or facebook or participate in the forums.